Berlin/Dortmund/The Hague/Tokyo, July 17th 2017 - New capital, new partners and a new headquarter: All clear signs that Berlin-based company builder FinLeap is growing at pace. The company raised around € 39M Euro from several investors, including the German Insurer SIGNAL IDUNA, the SBI Group from Japan and the Dutch NIBC Bank. Furthermore, the reinsurer Hannover Re as a big institutional investor raised its share, thereby cementing their ongoing trust in the cooperation with FinLeap. Having launched twelve fintech ventures so far, FinLeap is already active in ten European countries. In the past three years, the company builder has established itself as Europe’s leading fintech platform, whose ecosystem brings together the most prominent players of the financial services industry as well as investors and clients. The FinLeap ecosystem, made up of the company builder and its ventures, is opening up to third parties and continues to develop in the B2B2C space. The FinLeap headquarters in Berlin are being relocated. The company builder moved from its current head office in Berlin-Mitte to Charlottenburg. The digitalization of the international financial services industry will then be driven from the seven floors of the former Berliner Bank headquarters in the vicinity of Zoologischer Garten. The new office is not only a campus for FinLeap and its ventures but also the official de:hub for fintech. FinLeap was selected by the Federal Ministry for Economics Affairs and Energy as part of the Digital Hub Initiative in a national tender. The locations chosen to be de:hubs excel in developing innovation and enable interchange between established corporations and international investors. Regular events on the rooftop terrace or the on-site event floor, international branch conferences as well as a catering facilities are planned amongst other things. FinLeap and several of its ventures have already moved in. The renovation of the 11.000 sq m large building is expected to be finished by the end of 2017. FinLeap was founded in Berlin in the summer of 2014 by HitFox Group and Ramin Niroumand as a company builder specialized in Fintechs. 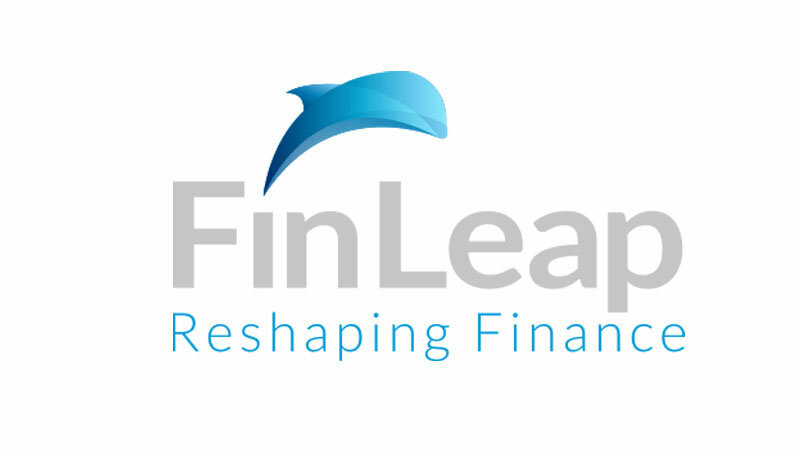 FinLeap serially develops Fintech companies, supporting them with strong infrastructure and guiding their growth. Besides Element, eleven other ventures have been brought to market providing services for private and corporate clients. The FinLeap ecosystem includes, for instance, FinReach, which offers among others a solution for switching bank accounts; PAIR Finance, a solution for digital debt management; Clark, a digital insurance broker; and solarisBank, a digital platform with a full German banking license. Each venture is raised on a solid FinLeap foundation that provides not only seed funding from €0.5 million up to €5 million but also a strong network of investors, an integrated development platform and advice on best practice processes. In addition, the company builder provides contact to experienced businesses, clients and top talents in the industry. FinLeap’s team is made up of over 450 employees from more than 30 countries. The company’s headquarters are located in Berlin. The SIGNAL IDUNA Group dates from small health insurances that craftsmen and businesses had founded more than 100 years ago in Dortmund and Hamburg. Today, the SIGNAL IDUNA GROUP covers the whole range of financial and insurance services for all target groups. The sales and distribution network is one of the largest in the German insurance landscape. The corporation manages more than 12 million customers and contracts and earns a membership revenue of around € 5.6 BN. NIBC is the bank of choice for decisive moments. The Corporate Banking activities offer a combination of corporate finance & capital markets, financing and investing in the sectors Food, Agri, Retail & Health, Industries & Manufacturing, Infrastructure & Renewables, Commercial Real Estate, Oil & Gas Services, Shipping & Intermodal and Telecom, Media, Technology & Services. Retail Banking offers residential mortgages in the Netherlands and online retail saving deposits in the Netherlands, Belgium and Germany via NIBC Direct. Headquartered in The Hague, NIBC also has offices in Frankfurt, Amsterdam, London and Brussels. The SBI Group was established in 1999 as a pioneer of Internet-based financial services in Japan. Since then, the SBI Group has formed the world’s first Internet-based financial conglomerate, providing financial services in a broad range of fields including securities, banking and insurance. In addition, the SBI Group provides Asset Management Business, with a prime focus on investment in venture companies - an activity undertaken since before the Group’s founding. In this sphere, the SBI Group has made focused investments in the IT and biotechnology sectors, which are the 21st century growth industries. Currently, the development of new technologies is accelerating within the FinTech, IoT, AI, Big Data and related fields thus attracting global attention. The SBI Group is proactively investing in venture companies within these fields. Hannover Re, with gross premium of EUR 16.4 billion and assets under own management of EUR 41.8 billion, is the third-largest reinsurer in the world. It transacts all lines of property & casualty and life & health reinsurance and is present on all continents with around 2,900 staff. The rating agencies most relevant to the insurance industry have awarded Hannover Re very strong insurer financial strength ratings: Standard & Poor’s AA- “Very Strong” and A.M. Best A+ “Superior”.